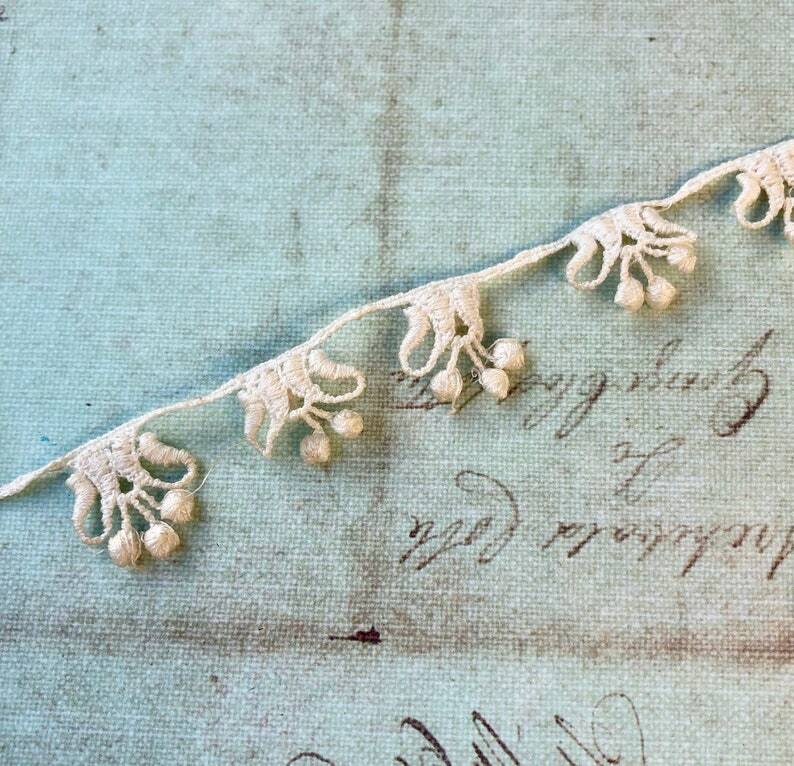 This is beautiful, unique vintage lace! It's a wonderful cotton chemical lace with three-dimensional little bobble dot accents on the ends. It has some minor age discoloration, but otherwise is in very good condition.